I settled in for what was going to be a quick babysitting job for Cole earlier this week, and mostly while he napped. Cole’s mommy was going to help out at school and work on some of her room mother activities. She went a little early so that she could have lunch with Kaiya and Mylee (who don’t share a lunch period). 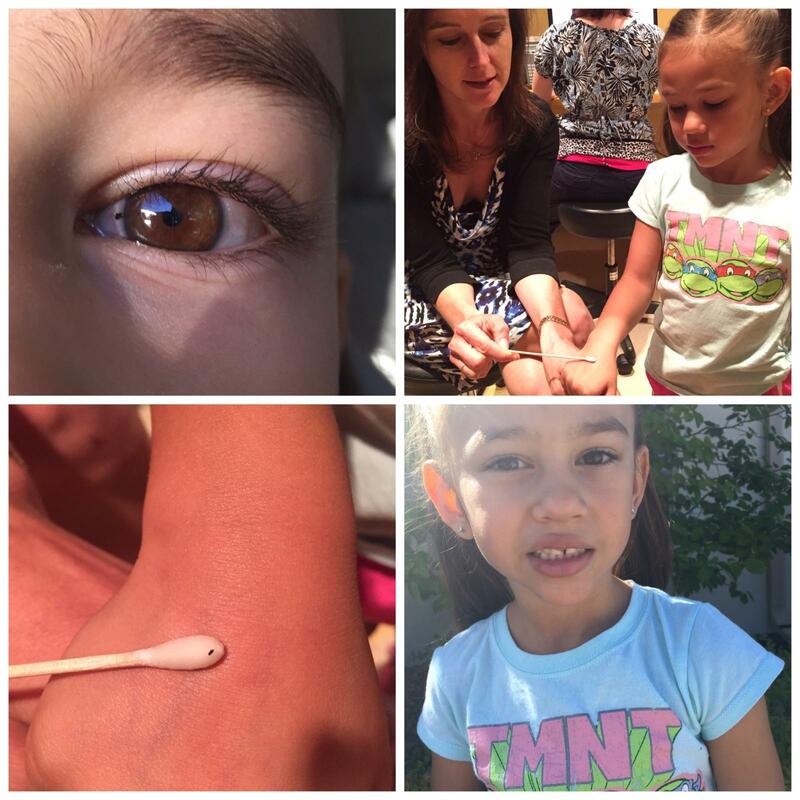 Around 1 o’clock, I got a text message from Alyx saying she had to rush Mylee to the eye doctor because she had gotten something in her eye at recess following lunch. The school nurse thought it might be a bit of metal. Yikes. It turned out to not be metal; instead, it was a bit of bark from a tree. No use even wondering how something like that could happen. Court got home before Alyx and the girls. I asked him if he was surprised that it happened to Mylee. “Oh, not at all,” he assured me. “That kind of stuff happens to Mylee all of the time.” Every family has one. Mylee’s going to be theirs. I’m happy to report that she is fine, despite getting tree in her eye. After my babysitting gig, I went directly to Addie’s middle school where she was playing softball with the Hamilton Huskies. I was happy to be able to see her play before we leave for Arizona in mid-October. 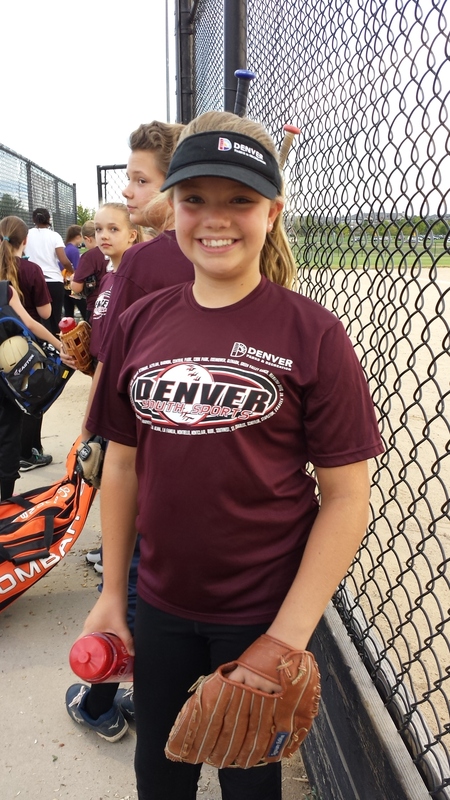 Since Hamilton is part of the Denver Public School system, her team could be playing anywhere in the metro area. The rare home game offered me an opportunity to observe her softball skills. Though her team lost by a couple of points, I’m happy to say that Addie was up at bat twice, hit the ball twice, and scored two runs. The final run involved running home when the catcher missed the ball. All of the Hamilton fans (which admittedly consisted mostly of Addie’s family) were screaming, “Slide! Slide! Slide!” She, of course, didn’t, but was called safe at home plate. Before she could walk back to her team, the umpire took her aside and told her, “You really needed to slide.” As Adelaide walked back to the bench with a big grin on her face, I overheard her tell her teammate, “I probably should learn to slide. The four McLain grandkids were over the other evening as their mother and father watched the CU/CSU football game with friends. I sat for a while and talked with 10-year-old Alastair, who, as you know by now, is a character. Since it was clear they were going to be going to bed later than usual – particularly after the game went into overtime – I asked Alastair if he still gets up so early in the morning. (He used to arise sometime around 5:30.) Here’s his answer, and I quote: “Well, I guess I get up around 6:08. But sometimes I sleep until sometime around 7:42.” There you have it. The reaction from my blog post the other day about my grandmother and her aprons generated a lot of response. Not only did I have one of my best days for total “hits” on my blog, I had a number of comments – both on my blog and on Facebook — from people who knew Grammie. She was clearly loved and respected by many people. I heard from a number of my cousins who were so happy to see Grammie’s smiling face on the post. I hope I have as much impact on my grandkids as did my grandmother on her grandkids. And my plea for a pattern got me some suggestions. Bill insists he is going to sew me an apron! 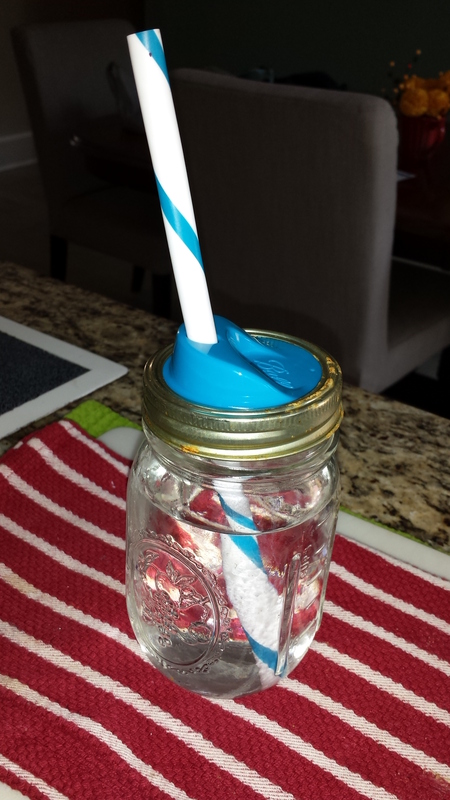 Recently I have noticed many stores are carrying something that I bought a while back at Target – plastic caps and straws that fit into the band of a mason jar so that you can drink from it. The other morning, I made Bill and I smoothies for breakfast, and I served them up in the mason jar. Bill, who never EVER notices what I use as serving dishes (and I can’t really blame him for that) was extremely impressed with how his beverage was served. So impressed, in fact that he commented on it. So Tuesday at the grocery store, I bought a package to take with us to Arizona since I don’t know if they are yet available in the desert. The young man checking me out looked at the package and said, “Oh my gosh, these are so cute.” Wow. What will they think of next? « How Does Food Network Say to Do It? Alastair’s rise and shine times sound like Bishop Ireton’s pass period times. Remember that? Haha, that’s the first thing I thought of when I read this!